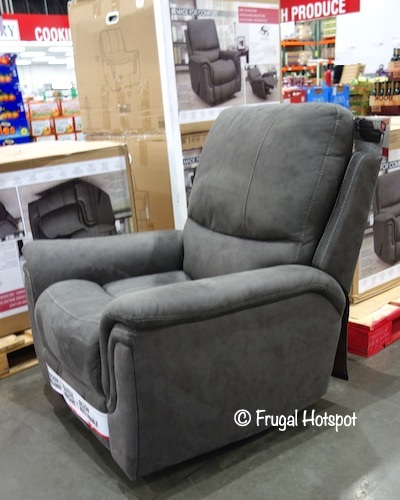 This is a Buyer’s Pick from the Costco MARCH / APRIL 2019 Coupon Book (3/13/19 – 4/7/19). 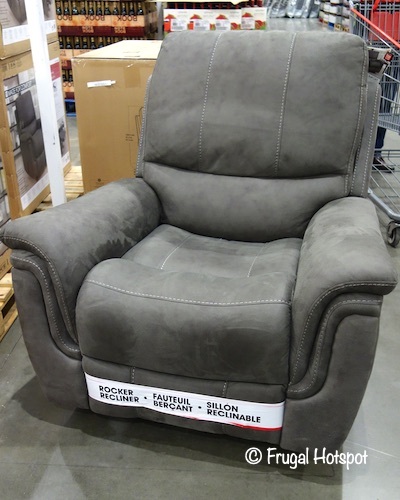 The True Innovations Mason Fabric Rocker Recliner is upholstered in a gray easy-to-clean 100% polyester fabric with padded cushions for support and comfort. It’s constructed with a durable Leggett & Platt steel reclining mechanism and sinuous spring suspension and a Comfort Coils support system. 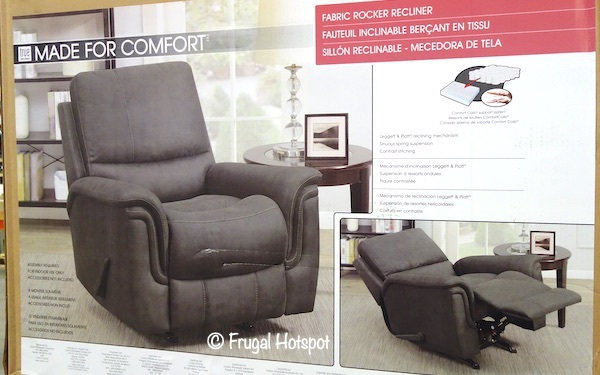 The True Innovations Mason Fabric Rocker Recliner can be found at select Costco locations for a limited time. 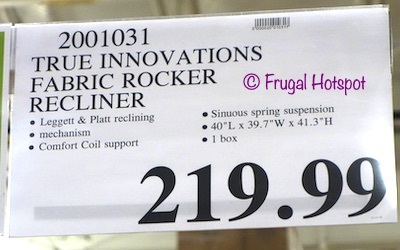 It’s priced at $219.99 at the Covington, Washington Costco. Your price and availability may vary. While supplies last. Item #2001031.